Handshake is the B2B eCommerce platform that brings manufacturers & distributors closer to their customers— both in person and online. A B2B eCommerce platform for customer ordering —on both the web and a mobile app that works offline. A mobile app for reps to write orders and access a digital catalog, inventory, and order history on-the-go. We power both your online and in-person sales channels, for one united B2B selling experience. Handshake was built specifically for B2B from day one, including high-volume ordering and customer-specific pricing and promotions. Handshake's B2B eCommerce platform offers a superior mobile experience with apps that work offline, not clunky mobile websites. We put people first, from initial implementation and training to ongoing support. Handshake handles maintenance and upgrades, so you don’t have to. 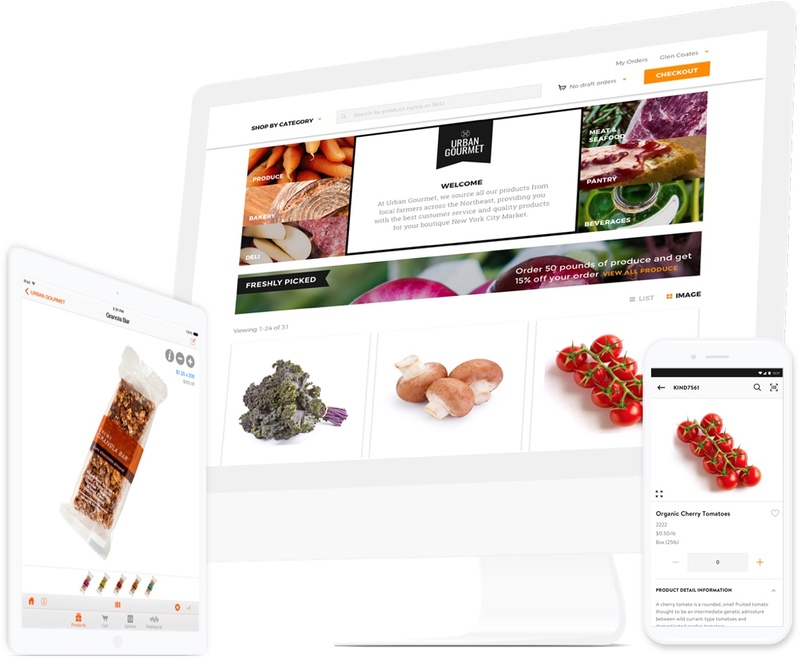 Handshake’s B2B eCommerce platform drives more frequent, larger orders with an intuitive, familiar user experience and increased visibility to your entire product line. Whether it’s bringing back customers that haven’t ordered from you in years or freeing up your staff’s time to focus on customer expansion, Handshake’s B2B eCommerce platform allows you to seize new revenue opportunities. Reduce expenses (up to 75%) associated with data entry, catalog printing and distribution, and costs related to fixing order errors and managing backorders. Switching over from your expensive custom-built or on-premise solution? Handshake’s B2B eCommerce platform is better value for an affordable price. “If someone can get the same products somewhere else, but it’s easier to work with you, they’ll choose you. Handshake has helped particularly as we are in a hyper-growth phase and gaining more market share." What the biggest trends in B2B eCommerce, mobile technology, and more mean for your business. Take the first step towards better B2B selling. Talk to one of our specialists and get a personalized demo of Handshake's B2B eCommerce platform.